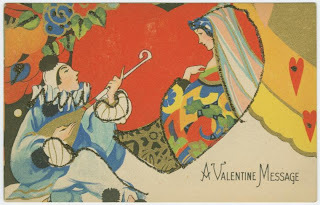 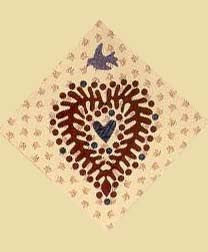 Several traditional applique patterns contain hearts. 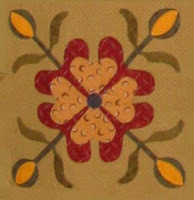 Below are a few reproductions. 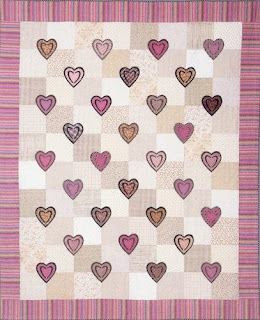 And here are some pieced heart designs---mostly from the 1930s and '40s. 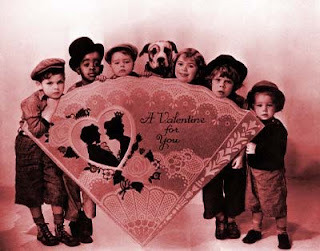 I typed the words "Heart" & "Valentine" in my BlockBase program and these four were among those that came up. 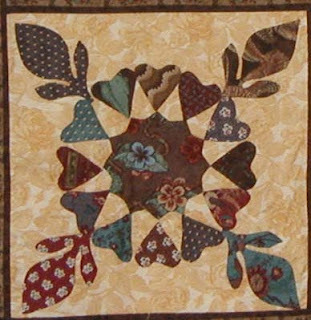 Wonderful patterns, love the fabrics used in wreath of hearts.